We're just ordinary people drawn together from many different walks of life, what makes us different is we all share a common commitment to give something back to our community. Bicester Pioneer Rotary is a new club starting in the town. We're looking for people interested in strengthening the community spiirit. If you think this might be for you why not get in touch and we'll tell you about this exciting new venture. 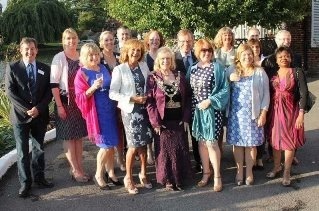 Email at info@bicesterpioneer-rotary.co.org with your contact details and we'll be in touch. Bound by the common goal of 'Service above Self' the members of the 57 clubs in District 1090 cherish every opportunity to achieve this. With a wide range of interests represented, meetings are held on various days of the week and cover a wide geographic area. New members can be assured of finding a club where they feel most comfortable. 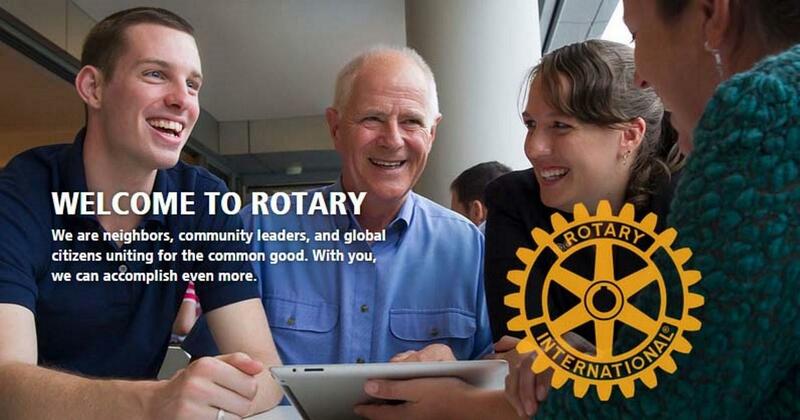 Rotary Clubs in District 1090 welcome men and women from all walks of life with an interest in making a real difference. District Diversity and Equality Officer, Dorothy Dix says of clubs in the District, "we pride ourselves on having a diverse membership; men and women, young and senior, from different walks of life, nationalities and faiths all serving together. It's a brilliant combination and I say this with great pride as, whether it is a friendly inter-club quiz night or making an impact on large, complex, global philanthropic initiatives, the service we provide is top quality. If you are looking to have fun meeting new people and getting actively involved in the local community, there is an increasingly wide variety of options, whether it be a traditional club meeting weekly to enjoy friendship, listen to stimulating speakers on topical issues and plan humanitarian projects, or a more flexible alternative such as a Satellite club, e-Club or Corporate membership. A very warm welcome to the members of Marlow Bridge Rotary Club, the latest in a line of new clubs formed to meet changing life-styles. This is the latest new club in District 1090 following the formation of a village community club at Eynsham and the Rotary Club of Maidenhead Bridge, then in July 2016 Marlow Bridge Club celebrated receipt of it's Charter. Both Maidenhead Bridge and Marlow Bridge clubs differ from the more traditional clubs, introducing more flexibility.to their structure and operations while still follwing the overall Rotary Motto of 'Service Before Self'. Members meet at times that are best suited to their lifestyles, investing more in 'hands-on' Rotary, undertaking a broad swathe of practical projects in their respective areas.. While the Marlow Bridge and Maidenhead Bridge clubs differ from each other, they both aim to provide young professionals and parents an opportunity to become involved in local community life, and meet like-minded people while enjoying a great deal of fun into the bargain! New Satellite Club for Loddon Vale!